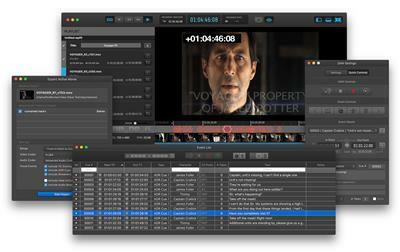 Video Slave 3 offers seamless playback of movies in sync to MIDI Timecode. Video Slave 3 works with all major DAWs including Pro Tools, Logic Pro X, Nuendo, Cubase and Studio One - or any other device that can generate timecode as a source. Video Slave 3 can be used either on a wired MIDI connection or through network MIDI.